A man had to be airlifted to hospital after a car crash in Hebden Bridge this morning. 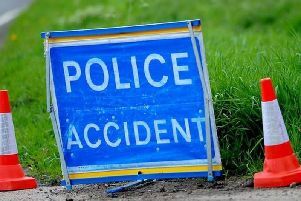 The A6033, going towards Oxenhope from Hebden Bridge, was closed for several hours due to the road traffic collision. A West Yorkshire Police spokesman said: "We were called out by the ambulance service at 7.21am today. "One vehicle was involved in the crash and the Yorkshire Air Ambulance attended. "One man was taken to Leeds General Infirmary with serious but not life-threatening injuries. "Any witnesses are asked to call the 101 police non-emergency number, quoting log number 259 of February 6." Keighley Road in Hebden Bridge has been closed after a car crash.